The SXSWedu Industry Hub, hosted by Cerego, is a destination for conversations related to education business. Featuring 30-minute talks all day, stakeholders can gain insights, understand market trends and network with colleagues in a casual environment. The Industry Hub happy hour begins at five. Join us! Hosted by Cerego: Learn what it looks like when cross-functional institutional teams are engaged in making innovative changes to students’ learning experiences. Join panel speakers from Cerego and NYU College of Dentistry as they share how the integration of a personalized learning platform helped them respond to organizational changes and make significant improvements in students’ performance. 5:00 PM - 6:00 PM Day 1 of the Industry Hub happy hour. Join Cerego and recipients of the #CreateChangeEDU Registration Scholarship! 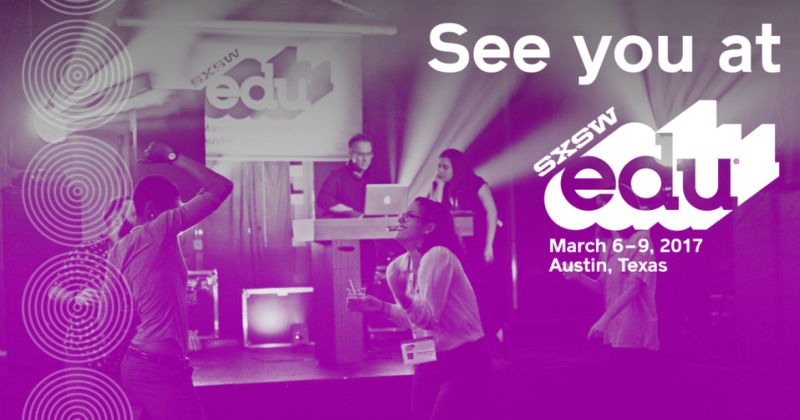 The SXSWedu Industry Hub, hosted by Cerego, is a destination for conversations related to education business. Featuring 30-minute talks all day, stakeholders can gain insights, understand market trends and network with colleagues in a casual environment. The Industry Hub happy hour begins at five o'clock sharp. Join us! Join Cerego Co-Founder and CEO as he explores how the role of memory may be more important than ever today. In this talk, Andrew Smith Lewis will look at the science of memory and how technology is changing the cultural value of memory and knowledge. He’ll also explore the tradeoffs we may be making in the post-Google era as how we learn evolves. 5:00 PM - 6:00 PM The Industry Hub happy hour begins at five o'clock for the second night. Mingle with colleagues and make new connections during this one-hour event. The SXSWedu Industry Hub, hosted by Cerego, is a destination for conversations related to education business. Featuring 30-minute talks all day, stakeholders can gain insights, understand market trends and network with colleagues in a casual environment. Want to learn more about Cerego Courseware for HigherEd? Stop by the Higher Ed Hub, adjacent to the Industry Hub. 5:00 PM - 6:00 PM The Hub Crawl happy hour begins at five for its final night. Don't miss it!